No, bullying children because they're ginger is not okay! No, bullying children because they’re ginger is not okay! Another girl from the group went into Mothercare when her little boy was only two weeks old and the shop assistant looked into the pram and said “Ah never mind, at least he’s healthy”. I mean why? Why would a grown up person feel the need to be nasty about a baby’s hair colour? A baby who can’t even verbally defend themself. I just find it absolutely disgusting how some people can behave like that and find it normal. I mean, what the heck is wrong with ginger hair and why use the word “ginger” as a derogatory term? You wouldn’t have someone emphasise that someone is blonde or brunet, would you? Well, at least I’ve never heard anyone point at someone with brown hair and having that nasty little undertone in their voice that comes out when people speak about red heads. 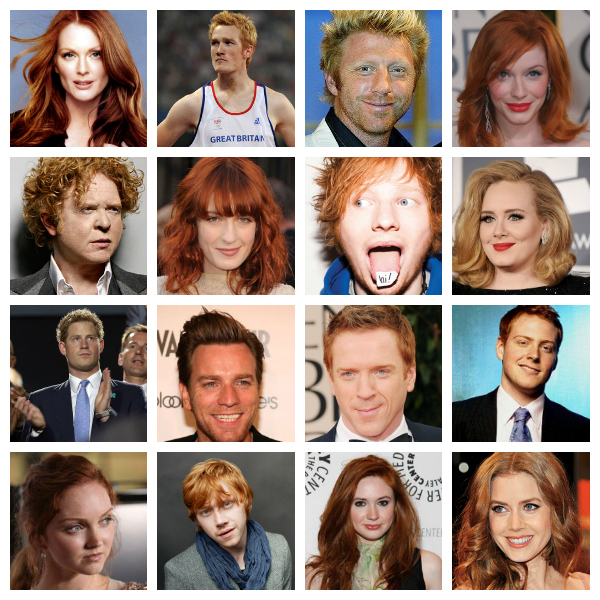 Red hair isn’t as common as blonde or brown hair, but that’s what makes it special not ugly.Just look into papers and magazines to see how many ginger people actually make the headlines. Think Prince Harry, actress Gillian Moore or singer and mum-to-be Adele. Ginger people rock and when I was little, my favourite TV character was Pippi Langstrumpf or Pippi Longstocking as you call her in the English-speaking world. 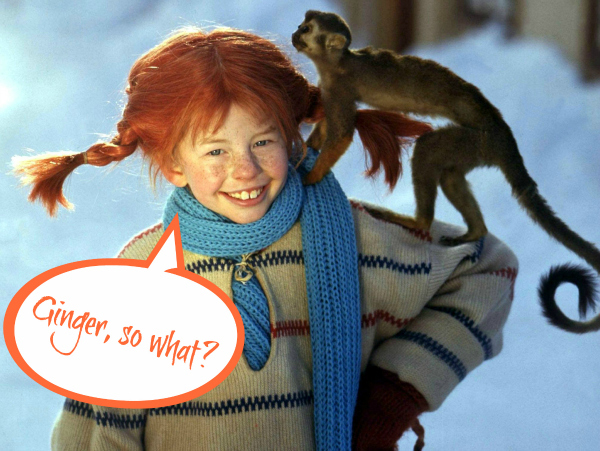 Pippi is clever, feisty and the strongest girl in the world and she has the most fiery red hair you can imagine. She can lift her horse with just one arm and fights for justice whenever she sees someone being treated in an unfair way. Pippi was my hero when I was little and I know that if she’d been around when these nasty women felt the need to judge innocent babies on their hair colour, then they’d have been in for a treat Pippi-style. Are your children ginger and get stupid comments from other children or even adults? Are you ginger yourself and tried hiding your true hair colour under dye or are you ginger and proud? Let me know about your experiences and how you deal with bullies! Actually I always make a point of saying how lovely it is, because a) I like it and b) I worry that the parent thinks I'll be thinking how ugly it is. Isn't that awful?? I'm sorry. And the stigma is ridiculous! I love red hair – actually if I could put my blonde highlights into red instead of mouse, I'd be thrilled!